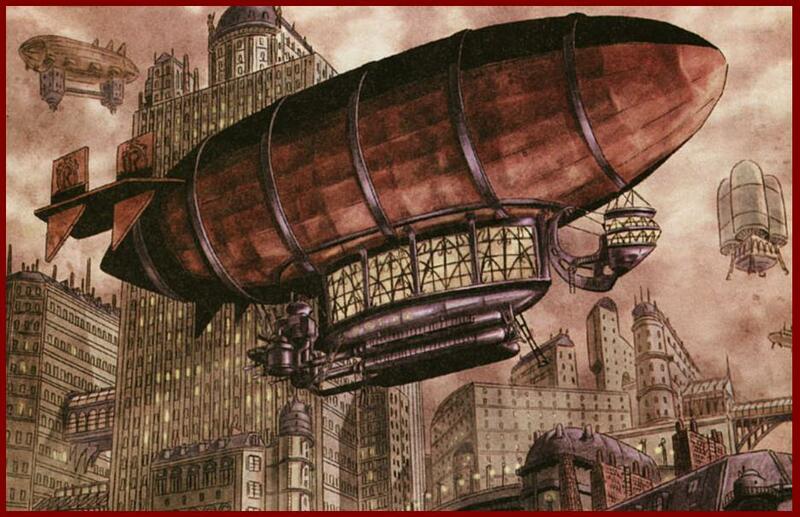 The subgenre of Steampunk – that subgenre of speculative fiction set in a fantastical Victorian era filled with airships, mad scientists and mechanical replicas of people or animals – may well have reached its zenith. With the new Sherlock Holmes movies, The Golden Compass or Scorsese’s Hugo, it seems possible that the initial burst of zest and inspiration will now settle into a more subtle ticking over of novels and films as the subgenre colonises the cultural spaces still open to it (Heart of Darkness steampunk? Opium-war Steampunk?). For some time a debate has been raging about the politics of the subgenre. the appeal of the genre is in the way it finesses the past into the present. This is an aesthetic strategy it shares with Heroic Fantasy (or much of it) as a mode: a disinclination to encounter the past as past. Most twenty-first century representations of a notional “past” are based on the idea that people in the nineteenth century (or, in post-Tolkienian Fantasy, the middle ages) were basically people exactly like us, and therefore people with whom it requires no effort from the reader to identify. According to Roberts, Steampunk jettisons a sense of the logic of history. 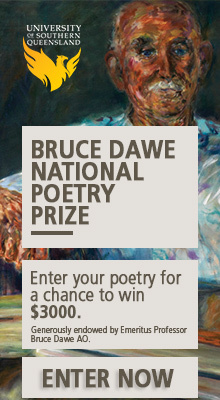 Fundamentally, the subgenre is an irrationalism. Life was mostly unpleasant, brutish, and short; the legal status of women in the UK or US was lower than it is in Iran today: politics was by any modern standard horribly corrupt and dominated by authoritarian psychopaths and inbred hereditary aristocrats: it was a priest-ridden era that had barely climbed out of the age of witch-burning, and bigotry and discrimination were ever popular sports: for most of the population starvation was an ever-present threat. I could continue at length. It’s the world that bequeathed us the adjective “Dickensian”, that gave us a fully worked example of the evils of a libertarian minarchist state, and that provoked Marx to write his great consolatory fantasy epic, The Communist Manifesto. It’s the world that gave birth to the horrors of the Modern, and to the mass movements that built pyramids of skulls to mark the triumph of the will. It was a vile, oppressive, poverty-stricken and debased world and we should shed no tears for its passing (or the passing of that which came next). you’ve basically defined a subset of steampunk in your analysis rather than the totality of it, that you’ve decided to focus on one small cog in terms of the mindset behind it, I hope you’ll understand that the impulse to defend something that alas from the term itself *seems* intended to be nostalgic comes from somewhere decidedly *non-escapist*. This isn’t from any particular special love for steampunk fiction or from writing it myself – I don’t – but from simply having had to exhaustively document it and the whole creative subculture. According to these critics, fantasy was instead irrationalist; for Suvin, it was a ‘sub-literature of mystification’. It didn’t operate according to the rules of science (either social or the ‘hard’ sciences). It was obsessed with the return to a romanticised neo-feudal world, in which the highest political aspiration was to be ruled by a benevolent ‘king’, be that Aragorn or the kitchen-hand who, unbeknown to himself, was deposed by an evil lord and is yet to realise his destiny. We can be sure that by the end of the series, the king will be restored to his throne, order will be reinstituted (with everyone in their place) and everything will be right with the world. The usual charge that fantasy is escapist, incoherent or nostalgic (if not downright reactionary), though perhaps true for great swathes of the literature, is contingent on content. Fantasy is a mode that, in constructing an internally coherent but actually impossible totality – constructed on the basis that the impossible is, for this work, true – mimics the ‘absurdity’ of capitalist modernity. Indeed, for Miéville, the fantastic is embedded in contemporary capitalism, both in the ways that commodification works and in the way that the human imagination is part of the productive cycle. Real life under capitalism is a fantasy. Moreover, for Miéville, fantasy can have exactly the same ‘cognition effect’ as science fiction. A fantastic novel about class, race or sexuality might have greater insight into contemporary reality as a novel about the bickering of a middle-class family isolated from great social struggles. In other words, fantasy can be just as good to think with as science fiction. But it depends more on the work itself rather than the specific form. These arguments seem to me to be true also of steampunk. The point is not so much the ‘content’ of the fiction, but rather the attitude of the work to its own content. Just as one can write a nostalgic view of the Victorian era from the point-of-view of the aristocracy, so one could write a critical view from the point of view of marginalised. Steampunk, like many cultural forms, is a thus site of struggle. The real divisions lie not between genres, it seems to me, but across them. So what am I saying about steampunk as a whole? I’m not sure. That there’s no harm in it being the aesthetic which drives the form, which bounds it and defines it, so long as that aesthetic is retrofitted, woven back into a fiction which supports, problematises, questions and exalts it. That I think the aesthetic represents a challenge to the assumptions of a functionalist, instrumentalist ethos presently prevailing in design and society, and – done with a bit of nous – is immensely important and powerfully countercultural. That it can be bastardised and cheapened just like anything else. That I love it. That’s the SF author Nick Harkaway, following on from Rjurik’s piece. I’d say Ian R. McLeod’s wonderful book, The Light Ages for starters. Thank you, I shall look out for that. I feel that there is an enormous difference between the Steampunk represented in the reviews and the steampunk written at the grass roots level. I regularly publish stories that deal with the harsh, brutal and unequal lives of Victorian people, as well as others from other periods and cultures. Main stream publishing may try to force steampunk into the box marked Victorian Romance, but the community members have their own voice and they have something different to say. In fact I have many ideas about “Revisionist Steampunk”, for instance, what will Socialists or revolutionaries look like and use in a Steampunk setting? What will the poor and the rich be like with 19-th century taste and futuristic technology? What will European Aristocrats say and do in Steam Punk fictions? 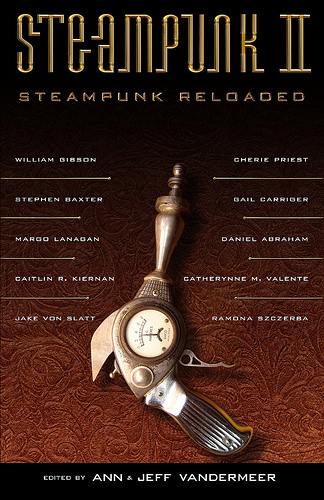 What will Colonizers do to their colonial subjects with Steam Punk technology? 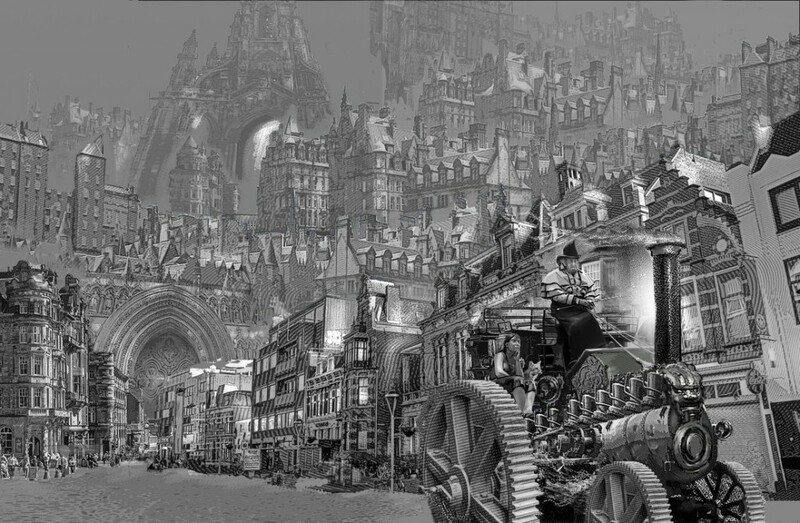 I think it will be very, very interesting if I can discuss this type of “Steampunk” fictions with anyone that is interested in it.